Did you know email pop-ups can help you double the number of email addresses you capture? That’s the average result reported by our customers. And we’re not the only one to notice mind-blowing results. The famous ConversionXL blog dedicated an entire article to the matter: pop-up Defense. Ready to harness their power? 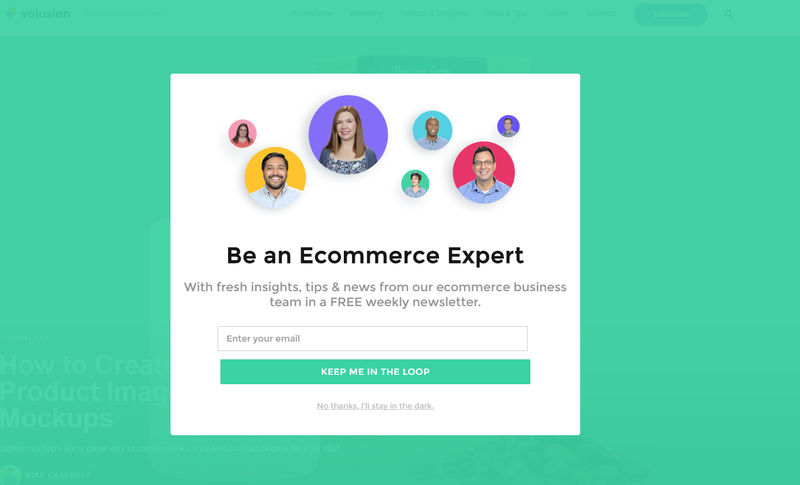 We’ve visited dozens of websites to gather this selection of the best website pop-ups. Let’s review them together and see why they’re so interesting. Let’s start with desktop email capture pop-ups (curious about why we separate desktop pop-ups and mobile pop-ups? We’ll explain why in the second part). We’ve included all kinds of opt-in pop-ups in this selection. 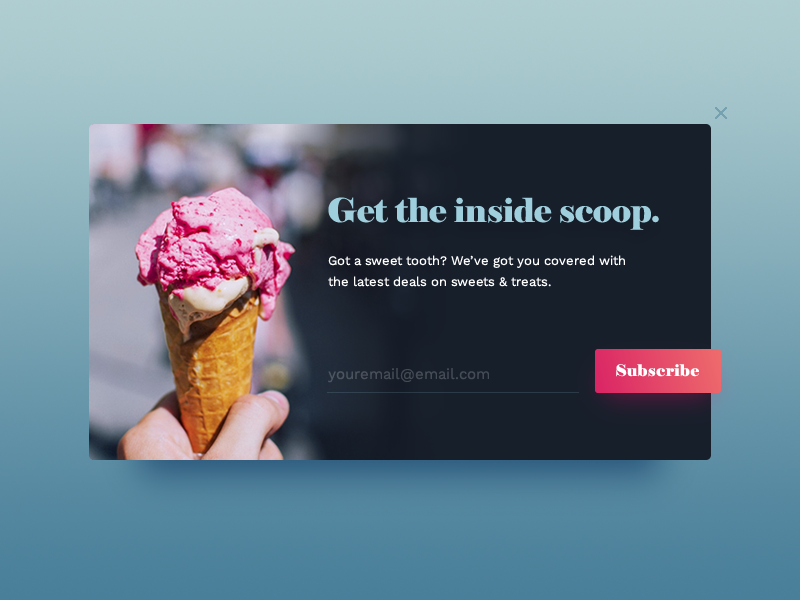 But we wanted to start with simple examples to show you don’t have to be a senior designer to make good-looking pop-ups. Look at this example from Fight Club. Only black and white, no fancy visual. That’s what we call a straight-to-the-point pop-up. What’s interesting with Weebly’s pop-up is that they chose a bar format. As such it’s less intrusive. 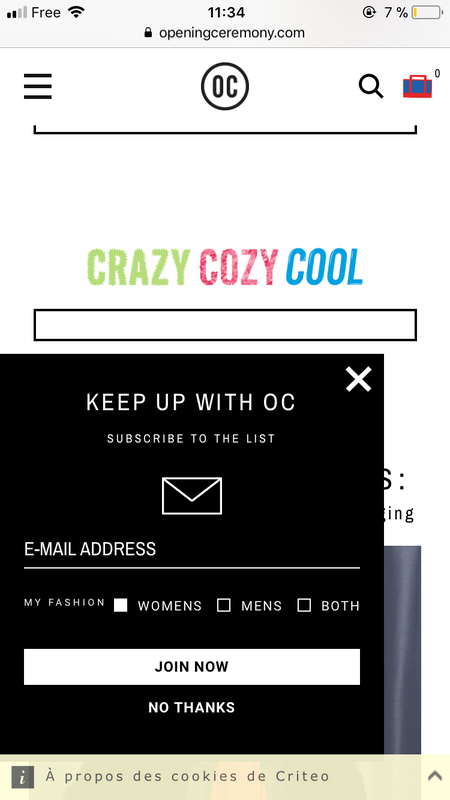 Usually, subscription rates from bars are lower than pop-ups but with these bright colors, they made a very good job of making it as visible as a pop-up. 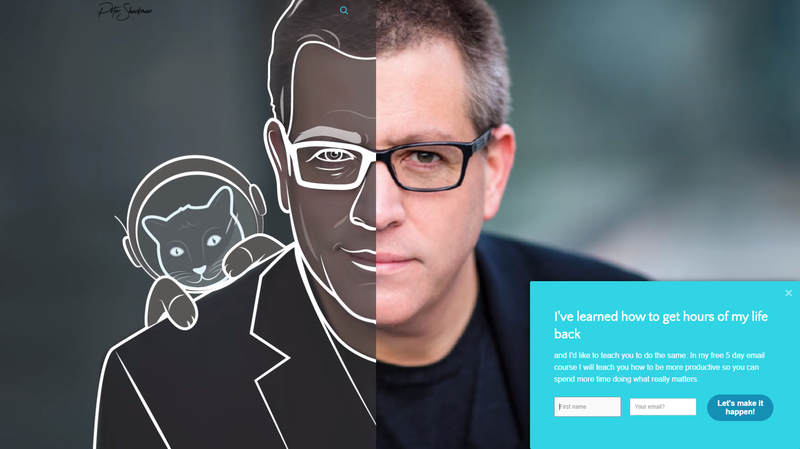 Influencer Peter Shankman designed a subtle slide-in which appears as users scroll down. Again, the design is pretty classic but it does its job very well. Sometimes, you can’t just collect the email. You need more elements to segment your subscribers. 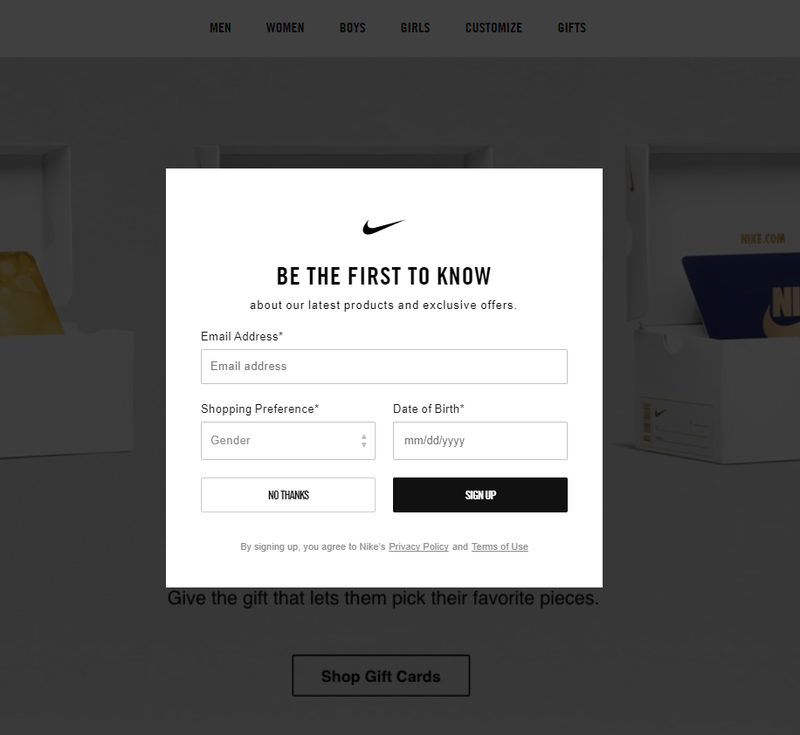 Nike’s example shows how you can do it in a simple way that won’t put visitors off. See how MeUndies collects email addresses? 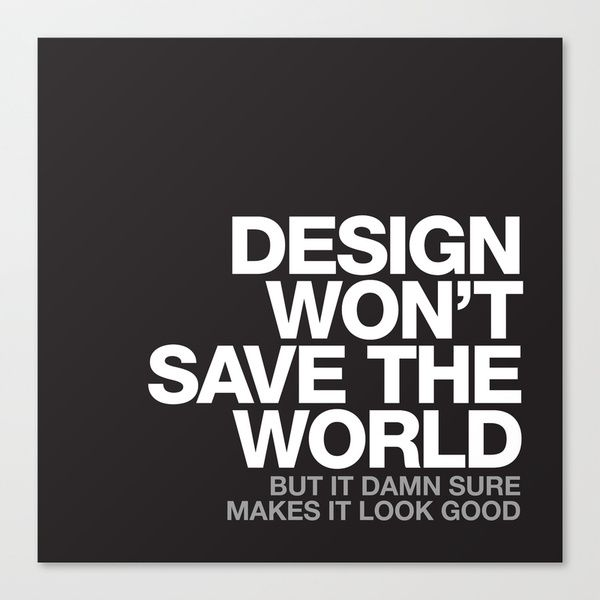 Isn’t that design stunning? Everything is right in this design, from the visual to the color choice. 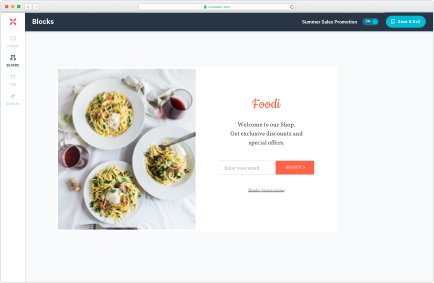 When using photos of your products is an issue (most SaaS are in this situation), why not select pictures from your community? 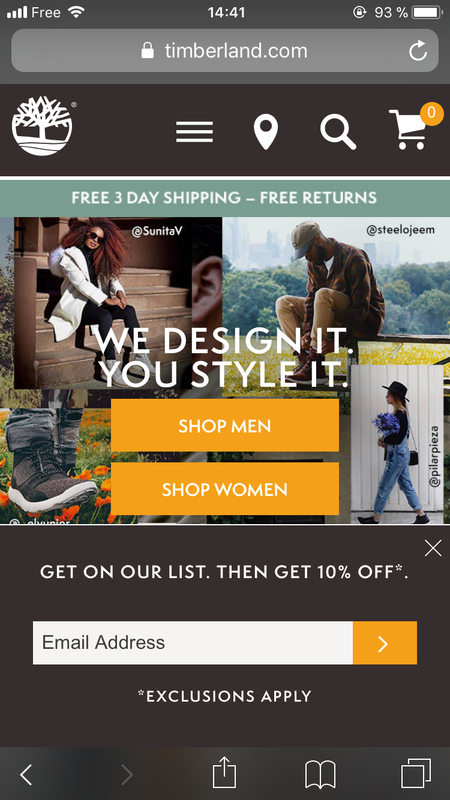 That’s what Volusion did with success in their email capture pop-up. Using photos is a good idea. Using illustrations is another good option to add some positivity to your campaign. Here’s an example on LiveChat’s blog. Looks like KlientBoost got a little help from their in-house designers for that campaign. Their illustration adds fun and engagement to their campaign. To attract your user’s attention, you have to be smart. This example from designer Kelly Harrop plays on dissonance. Your eye is naturally drawn to the call-to-action. This last example goes even further. The round pop-up (a shape which is kind of rare in pop-up design) is highlighted by the woman on the right. Notice the direction this woman is looking in? To the left, to naturally suggest to redirect your attention to the email form. In a world where more than half of the traffic is mobile, you need a pop-up marketing strategy adapted to mobile devices. And with Google’s guidelines regarding mobile interstitials, you can’t just work on making your creations responsive. 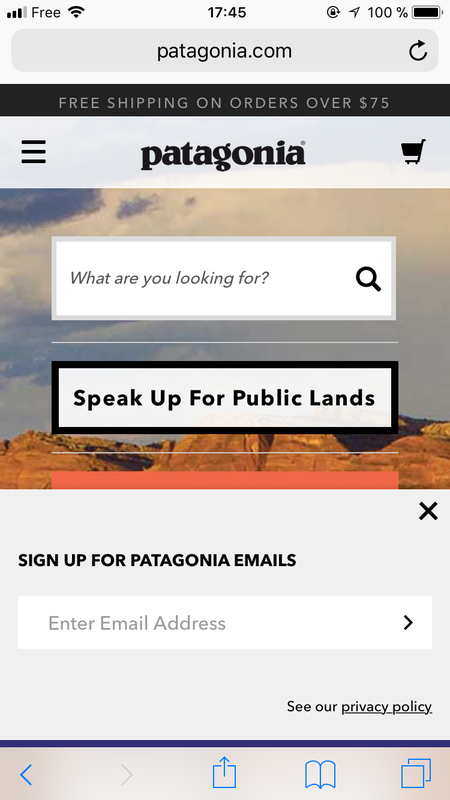 Let’s start with the simplest example possible: Patagonia. They respect Google guidelines with a modal which doesn’t prevent the visitors from accessing the content of the landing page and use their website colors. Timberland followed the same model but added a little more color. The result? Their email capture campaign is more visible. What happens if you keep a simple design but add a logo? Well, you get OC’s design. Probably too big for Google but a good example of what you can do with limited space. We hope these pop-up design examples will inspire you. 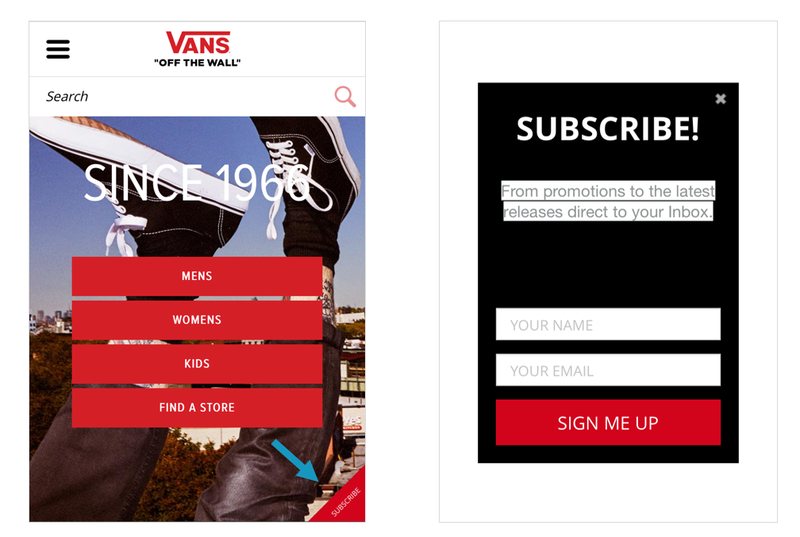 Of course, design alone is not enough to make a good email pop-up. To be effective, your campaigns need a strong copy and a good offer. But their design can have a huge impact on how the interstitial will be perceived and will convert. Ready to build your own campaign? Sign up today (14-day free trial, no credit card required) and create your first popup in under 5 minutes.